Many of us dream of starting a new life in a beautiful city and surely there are not many more beautiful cities than Liege. 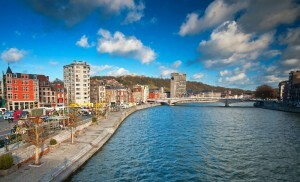 Situated in the east of Belgium, Liege is part of Belgium’s French-speaking area and is one of its largest cities. It is a beautiful, historical city that boasts wonderful cafes, restaurants and bars. 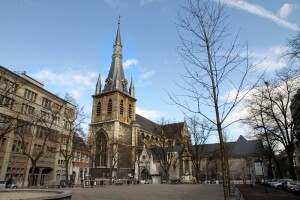 As well as its excellent culture, Liege is a major architectural wonder too, so it’s no wonder that many Britons are choosing to relocate there. Our reasons for moving may be quite different- from those of us who want to change professions to gain more professional contentment to those who want to move closer to friends and family. Whatever the reason for your move, we’re here to help you relocate with our fantastic range of house removals services. Moving Service have years of experience in making international moves very easy for their clients. Is Relocating Internationally Really That Hard? Surely, it is quite daunting to imagine how you could possible pack and transport a lifetime’s worth of possessions to a completely new country and that is why we are here to help. International removals can be a tricky business but with our years of expertise, we can really make your dream move to Liege so much simpler. For a free quote from one of our dedicated, friendly team please do not hesitate a moment longer to call us on 020 8746 4402. We think you will agree that our prices are some of the best around- really good value for money is difficult to find these days but it is something on which we pride ourselves. Not only do we provide excellent value for money but our service is top class too. Our specialist team of international removals experts can tailor their service to meet your unique needs. Every move is different and everyone needs a service that will fit around their lifestyle. Some companies can charge the earth for such services or leave you hanging around when you need them most- this is where we are so much different. For us, our clients are paramount and we want to make their house removals and international house removals easy for them. We take extra care when it comes to the safety of your goods and furniture. By using high grade wrapping materials and sturdy boxes, combined with years of experience in removals, we can guarantee that all of your possessions will arrive in Liege just the way that they left London. Our team work tirelessly to help you pack, organise and transport everything that you need to take with you so that you can get on with the things in life that really matter. After all, there is enough to think about when you just move down the road - moving to an entirely different country is far more stressful! Years of experience have taught us these lessons so we understand our clients’ needs for a swift, effective international removals service. If you need simply a man and van to help you move a small selection of things or an entire team to move the contents of your home, then talk to us. We at Moving Service are always here to help assist you with your move from London to Liege and flexibility, quality and cost-effectiveness are our second nature. We know that when it comes to house removals you want a name that you can trust. Hundreds of satisfied customers have already picked the best and we would love to add you to our list of clients. Please call 020 8746 4402 right away for a free quotation.